(1) pdf sheet with all cards ready for print - NO PHOTOSHOP needed! Capture the sparkle in your life with our contribution to April 2017 BYOC. 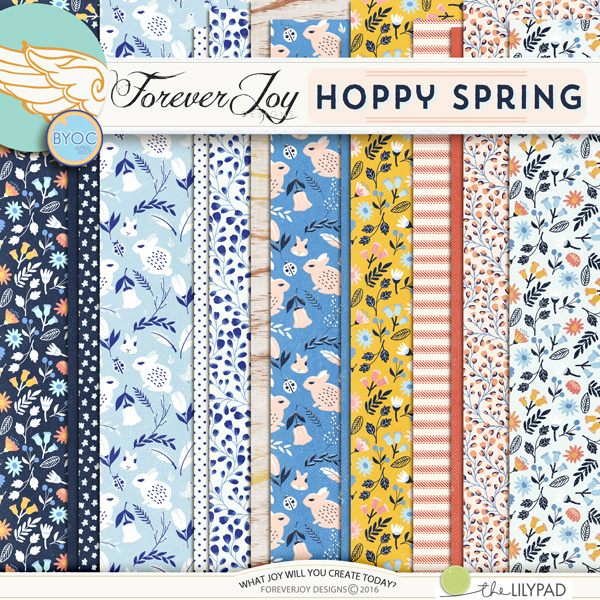 This portion of the collection includes 12 patterned papers (and 3 bonus solids!) Love the papers? Check out the page kit where you can get find them bundled with the coordinating pretties! This item coordinates perfectly with the other April 2017 BYOC products! Drop shadows for illustration only. This digital kit has been saved as .jpg files at 300 dpi. Not all items shown. Personal Use Only please. 100% cotton hot pressed watercolor paper. 5 ea. Dotted Stripes, 4 ea. Dotted Flowers, 3 ea. Swirls, 1 ea. Grunge Collage, 1 ea. Swatch Sample, 2 ea. Circle Stacks, 4 ea. Patterned Circles, 3 ea. Dottes Circles, 4 ea. Dotted Squares. TOTAL HANDPAINTED GRAPHIC ELEMENTS: 34 EA.